regularly used utensils. 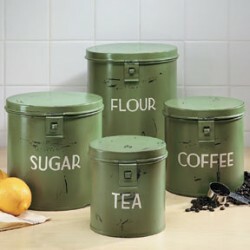 This is one the best and convenient ways to standardize your kitchen storage. use it only as a decorative item, then you can happily ignore the quality or how well it seals. kitchen look more organized, neat and tidy. very appealing to the kitchen.